Hey ya'll! Hope you are having a lovely week. 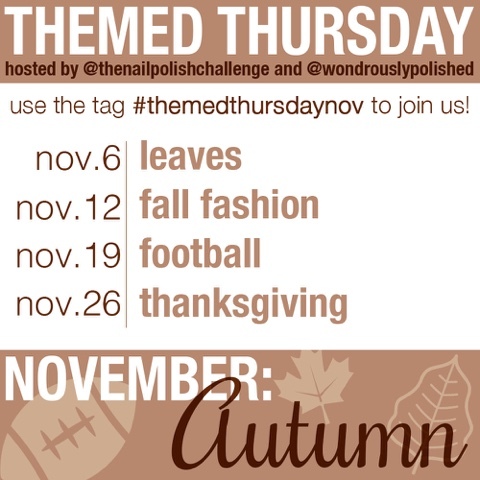 Today I am excited to say I will again be joining The Nail Polish Challenge and Wondrously Polished In there monthly challenge! From the looks of it this month is going to be a lot of fun! Last months was fun, but I will be honest, those themes just weren't me. This month however is different and I am super excited about it! 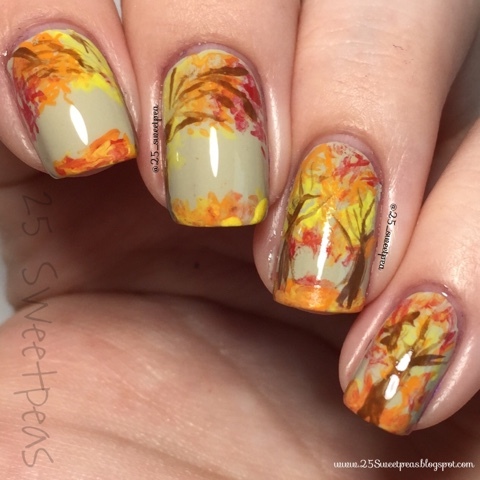 Today's theme is Leaves, so I have created a fall leaf/tree look! 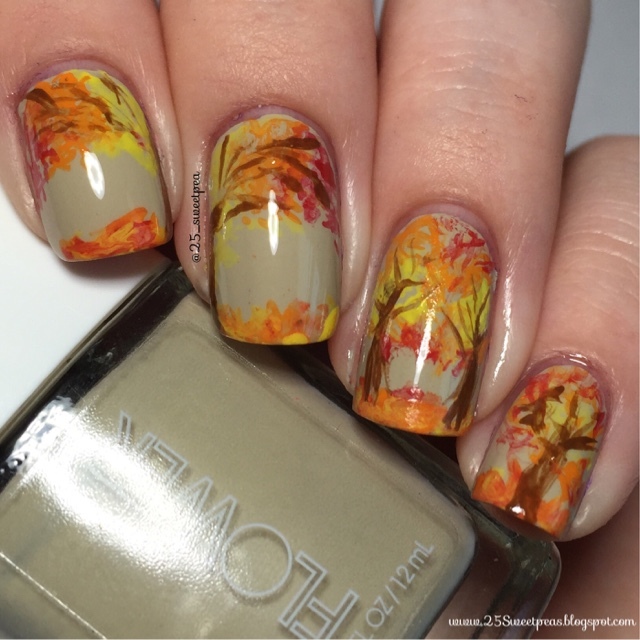 Well I hope you all enjoyed this fall Inspired look! Let me all know what you think! 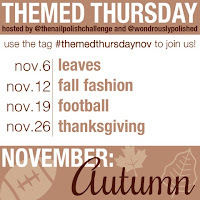 Also if you would like to participate in this challenge as well here is the "challenge photo" with all the themes and the # that people post under! That's all for today! Hope you enjoyed it!